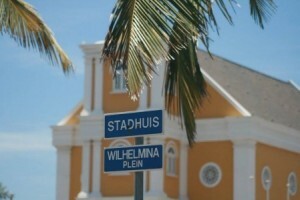 WILLEMSTAD - The actions ‘Pay your Fine’ at the airport yesterday by the Public Prosecution (OM) resulted in many people paying their traffic fines at the OM’s office in Waaigat (building next to Curoil in downtown). During the action at the airport, a total of 16 people had one or more outstanding fines. They had to pay them at that moment otherwise they could not leave the island. This action was in cooperation with customs, Royal Police and the Curaçao Police Corps. In total, the OM collected 15,000 guilders at both the airport and its office at Waaigat. OM also announce that they will intensify their actions to collect payment of outstanding fines.